In her recent interview, Kareena Kapoor Khan opened up about how she feels when she has to leave Taimur at home for work. Kareena Kapoor Khan is an inspiration for all the working mothers. She has been balancing both her professional commitments and her chores as a mother pretty well. Despite hectic schedules, Kareena makes it a point to spend ample time with son Taimur Ali Khan. In her recent interview, Kareena opened up about how she feels when she has to leave Taimur at home for work. She said that there's looming guilt and she is constantly worried thinking what would he be doing at home. According to her, it's important for her child to see a happy mother even after she comes back from home. Kareena was speaking with Miss Malini for the series Girl Tribe and said, "I think the most important thing for a working mother is to believe in herself. Even when I leave in the morning, I am constantly worried about what Taimur would be doing at home. There is that looming guilt that is sometimes on your head." She also added, "I think your child will grow up realising, respecting and understanding a woman so much more than when she goes out to work and comes back home, she is still happy. Even though she could be tired, but she is still happy because she is doing what she loves the most." On the work front, Kareena has started shooting for the film Good News which also stars Akshay Kumar, Diljit Dosanjh and Kiara Advani in the lead roles. 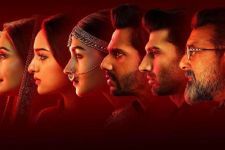 The actress will be also seen in Karan Johar's period drama Takht which also stars Ranveer Singh, Anil Kapoor, Alia Bhatt, Vicky Kaushal, Bhumi Pednekar and Janhvi Kapoor. Photo: Shahid and Misha enjoy their cute-daddy-cute-baby moment! Priyanka Chopra REVEALS a Freak Out moment from her Wedding Day!